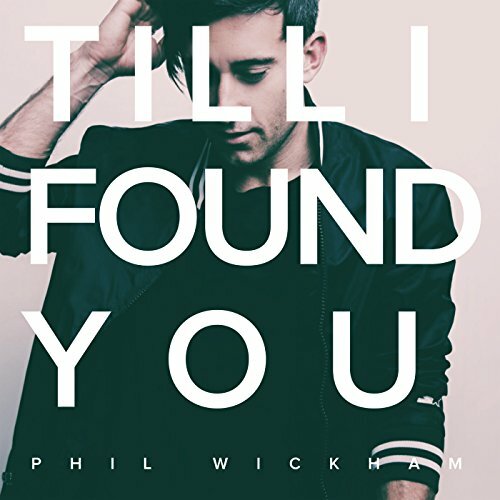 Phil Wickham is perhaps one of my favourite worship artists…ever. Yes, ever. Maybe even alongside some other revolutionaries and pioneers of the worship music genre (if ever there is one at all! )- guys like Crowder (or as he once was, David Crowder*Band), Tim Hughes, Delirious? (and even Martin Smith now! ), Meredith Andrews, The Sonflowerz, All Sons and Daughters, Paul Baloche, even more recently Rend Collective and UNITED, have all taken a stand to deliver worship songs and music that doesn’t necessarily quite fit the mould of it being worship music to begin with…and that’s ok. You’ve noticed that I’ve ‘forgotten’ to include Chris Tomlin there in the list…it’s not because I don’t love his music, it’s just that much of his music can be musically safe and not that artistically inclined…which is ok, but sometimes when I want to hear music, I want to hear something that stretches my own concepts of what worship music is and what it should be, verses what I have always believed it was from the beginning- and sadly, Chris Tomlin doesn’t really do that. Nevertheless, Phil’s music is a great start for anyone who loves worship music in general, and want to hear something that isn’t necessarily that tight to the confines of radio-friendly music. Sure, his music is congregational, but still there’s enough there for Phil to go outside the lines of what is considered ‘worship’ music, and deliver something that on the surface doesn’t sound much like something you’d sing in church, but when looking at a deeper level, you definitely could. And this is very much what it is with his new songs ‘Great Things’ and ‘Till I Found You’, both of them, alongside ‘Living Hope’, are some of my favourite worship songs ever of 2018, with all of them being present on his new worship album Living Hope slated for release August 2018! Normally I would, in any review, speak about the song and what I reckon it meant to me, and most likely without much help from ‘outside sources’. Yet with these songs from Phil, I’ve found that even I can’t say that much that’ll succinctly say what both ‘Till I Found You’ and ‘Great Things’ mean, better than what was said by Phil himself in these above quotes, both placed on his Facebook page in previous posts of his throughout these last few months. I guess I could say that both ‘Great Things’ and ‘Till I Found You’ are very pop-synth-electronic, both not really sounding like worship songs at all…and maybe, just maybe, that’s alright. Phil with these two songs especially have shattered my own perceptions and opinions at what I myself reckon worship music should be. Both songs have a ‘Your Love Awakens Me’ vibe, which is great considering that Phil and his music, alongside Crowder, is one of the only upbeat worship artists currently at the moment. It’s not to say that I reckon reflective and subdued music doesn’t have it’s place, yes it does, it’s just that upbeat worship music is rarely done right- it’s either filled with lots of electronics a la Young and Free, or just plain upbeat, when the lyrics and words suggest and reflect something else. Phil’s two new songs defy such trends and assumptions, as ‘Till I Found You’ boasts a electronic R&B sound, something different that Phil hasn’t really done before- a very retro feel. With electronic drums and hand claps littering the track, we are met with the message of hope and comfort, that when we meet Christ for the first time, we can testify that ‘…I never knew anything lasts forever, till I found You…gone are the days of chasing after what won’t last, I’m done with building these castles, they crumble like sand, knees on the floor, I finally found that everything I needed was always right in front of me, You gave me a name, and You changed everything…’; while ‘Great Things’ has a corporate worship feel, and feels like a song that you know you haven’t heard before, but you think you have, all throughout the song…I’m sure you’ve listened to songs like that. ‘Great Things’ was that for me. It is a song that could be the next ‘At Your Name’ or ‘This is Amazing Grace’ if it isn’t played on the radio to death in the upcoming months (which I’m sure it could be!). 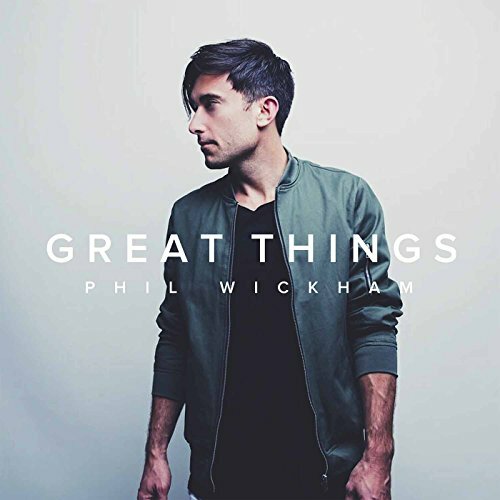 Nevertheless, both ‘Great Things’ and ‘Till I Found You’ is everything you could ever think of in a Phil Wickham song, and if this new album is anything like these two songs (or even ‘Living Hope’), then this album could certainly rival Response as my favourite Phil Wickham album ever! So there’s that… ‘Till I Found You’ and ‘Great Things’. And there’s really nothing much more that I can say about these two songs than…just stop what you’re doing and buy them immediately (or just stream it on Spotify-whichever you want…no seriously, buy the songs. It’s that good that I reckon you should have them in your possession!). Both these two songs are some of the songs that have become the soundtrack of my life right now, and I have been blessed to hear such praise songs that stretch the boundaries of worship music in general. And as Phil relays a message behind ‘Great Things’ that I reckon serves not only a message of the song, but I think the message of what is occurring and transpiring in our lives right now, let us reflect upon these words by Phil- ‘…you know those amazing stories in the Old Testament of the Bible where God is performing all of those incredible miracles? As a kid I always enjoyed hearing those stories. Parting the sea, the battle of Jericho, Daniel in the Lion’s Den, David and Goliath….they’re all pretty amazing. But as I grew older I began to realize that these stories are not just accounts of amazing things God has done in the past. They are also pictures and metaphors of what He is doing presently. Not out in the world, but deep in our souls. When there was no possible way for us to be saved God made a way. He “parted the sea” of our own sin and shame by the cross and the empty grave. When the lies of fear and condemnation seek to define us God “silences those lions” and tells us who we really are- forgiven and set free. Jesus tears down the walls and brings down the giants. Our sins carried upon His shoulders and nailed to the cross. Our life and victory won as He rose from the grave. There is hope and life in Him TODAY. He truly has done and is doing GREAT THINGS…’ And with that, I’m gonna listen to ‘Great Things’ and ‘Till I Found You’ again on my iTunes playlist, knowing that come August 2018, one of 2018’s most anticipated and powerful worship albums will release! Can’t wait till August-time! Can you? Listen and let us know in the comments!